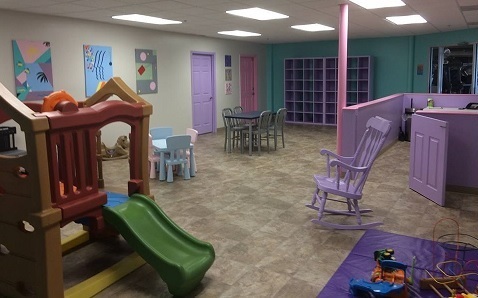 The childcare room is a fun yet safe place for the kids to stay while you workout. Children ages 6 weeks to 11 years can use the childcare service. There are bright paintings on the walls, lots of toys, board games, a play fort, coloring books and a tv with a DVD player for movies. Our attendants are professional, courteous and love kids. 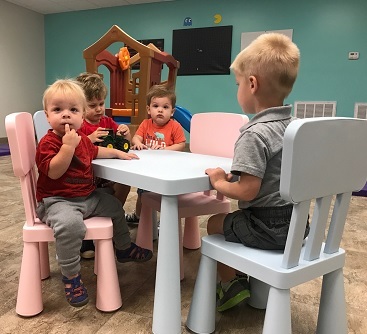 Childcare services have an additional minimal monthly fee. The monthly fee covers up to 5 children.